Mariuca's Perfume Gallery: EC Widget - Last 50 Droppers! EC Widget - Last 50 Droppers! After searching high and low for a nice Entrecard droppers widget, I finally found a really cool one over at Work At Home Wealth! It's pretty simple to put up, and once you have it up, you'll be able to see the last 50 EC droppers who visited your blog. 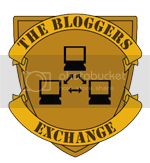 How will this widget benefit you and your blog? Well, according to the creator, "Just by dropping a card on my blog, your Entrecard ID is added to my Inbox and your blog name, link and description are displayed on the widget for the world to see. Your blog’s data remains there until it is pushed out of the inbox by the 50th (or so) visitor who drops his/her card." It's a great way for me to show my appreciation for my readers and EC droppers, so I happily got myself one for Mariuca's Perfume Gallery and of course I'll be getting one for Mariuca as well. So if you like what you see here, right below the Red Hot Drops Blogroll, hurry and get yourself this cool EC widget. You can customize the widget according to your preferred size and there are many colors to choose from too, have fun! Salam dan terima kasih Marzie for this information. Junga, sila lawat blog saya later. Saya will have it added. Am saya correct so far? Awak tolong let me know. Ya? GP! This widget looks great and I've never really explored it although I saw it Roxy and a few other places.. eh what did you put for the entrecard client and user?? GP! You may want to change the EC user id though.. yours is linking to this id 10543 when it should be linking to your own MPG ID which is 31733. Morning LJ! Wah, you're all fresh from a good night sleep, Trinity would be proud of you lol! Hi Jean! Is ur server okay oredi? I can see the widget just fine here. Wonder what color u're gonna choose...pink? He he he!!! Hi...love your EC Droppers widget...I have that one, too, on Roxiticus Desperate Housewives, just in a hotter pink than yours. I might have to add a blue-grey one to my Bay Head Blog. Matt complains that all my spiffy widgets make my page load too slow, but my widgets make me smile. Sure glad you're feeling better...welcome back to the Blogosphere! Oh dear!!! Marzie I am straddled with approaching bad weather yet again today. I couldn't get any drops done yesterday. And, I still haven't grabbed the widget. Nor have I added LJ as a link yet. marzie, yes, i can view oredi! hehe.. im taking grey instead because the pink available does not go along wt my blog. sorry I think there are just a bit too much useless witgets. Therefore I created some nonsense widgets myself. Girlfriend, we have the Mariuca-Roxiticus EntreCard Block goin' on tonight! I have seen some surprising characters come in here testing out the perfumes...but can't tell all...as always, what happens with Roxy stays with Roxy....I am glad to have you keeping an eye on things over at Best Blogs! Ha ha Floris..."WIDGET Jones Diary" that's funny! I will have to check it out and slow down my blog some more for Matt. I wouldn't care too much about the EC widget. Cause most users would just drop the card and leave, can't even be bothered to read. Hope you enjoy the widget and get more visits and readers. Does MPG have cosmetics too? I'm afraid Roxy is getting dark circles under her eyes from staying up round the clock to watch over your blog from EntreCard...late night here hopping around Social Spark. Happy Friday to you, guess it is almost the weekend in your part of the world! @roxiticus thanks. when you see more absurd widgets just let me know..
Camaner nak StumbleUpon your blog, I pusing keliling cari caranya. Deh! LOL!!! Zubli! Have u installed the SU Toolbar? I installed the latest version yesterday. Go to SU and install the Toolbar first. Then, once dah install, visit the sites on this list and click the thumbs up sign at your toolbar. It will appear once u dah install the SU toolbar. He he...how? Easy?? Thanks for sharing this info :) Will add my widget soon. Thanks for dropping your Entrecard on mine. You are kind to me, I see your blog avatars - pink and blue - being dropped and beautifying my blog site. Thanks a million.